Our Xpose features spacious storage and variety of uses and makes impressive choice for Corporate Giveaways with your custom logo. Looking for an impressive yet affordable option for personalized giveaways at your upcoming promotional event? Your search ends here with Xpose! This innovative bag is a modern twist on traditional tote bag and is sure to impress anybody receiving it. Featuring an extra long handle, this tote is great for use as cross-body bag for easy and convenient access to belongings. 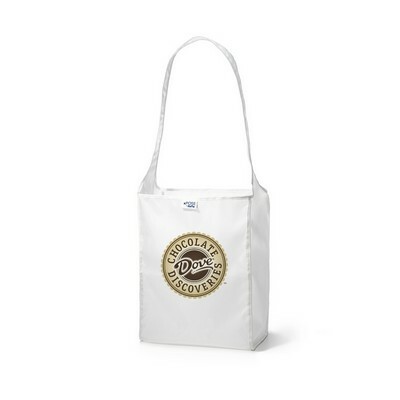 Perfect choice for welcome gift at events, this bag offers spacious, hands-free storage to the attendants. It can be used again after the event as a laundry bag which fits the interior of any standard rolling luggage bag. 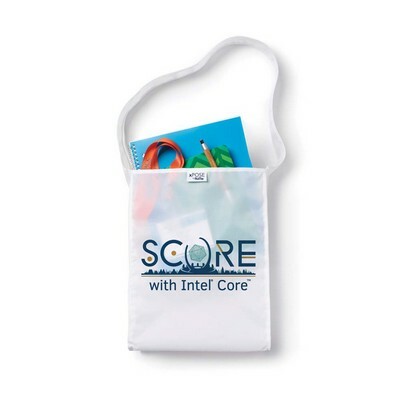 Machine-washable, reusable, durable bag ensures long lasting brand impression and worth for your imprint investment. Customize it today with your brand logo and promotional message!